You've watched the Bureau for Paranormal Research and Defence heat up the screens in the Hellboy movies, and tear through the pages of various Dark Horse comic books - but have you ever considered joining them? 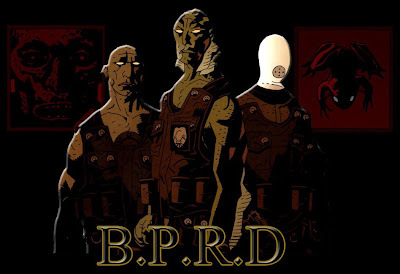 Dark Horse has issued a recruitment form for rookies wanting to exchange B.P.R.D membership details for insider access to exclusive cover art and interiors, extended previews, editorial commentary, creator signings, contests, discounts and more. The lucky draftees will then be invited to Trevor Bruttenholm's Facebook page, where even more secrets will be revealed. Want in? Click the jump.